Do you have a great website or blog, but you don't have time to write? We can help you with quality content writing that is adsence friendly. We have a team of quality content writers who can deliver content as per need. Earn more with your blog with our user friendly quality content that is SEO and adsence friendly. I will write one article of 500 words in this service. I am very sure our content will help you get maximum organic traffic from search engines. 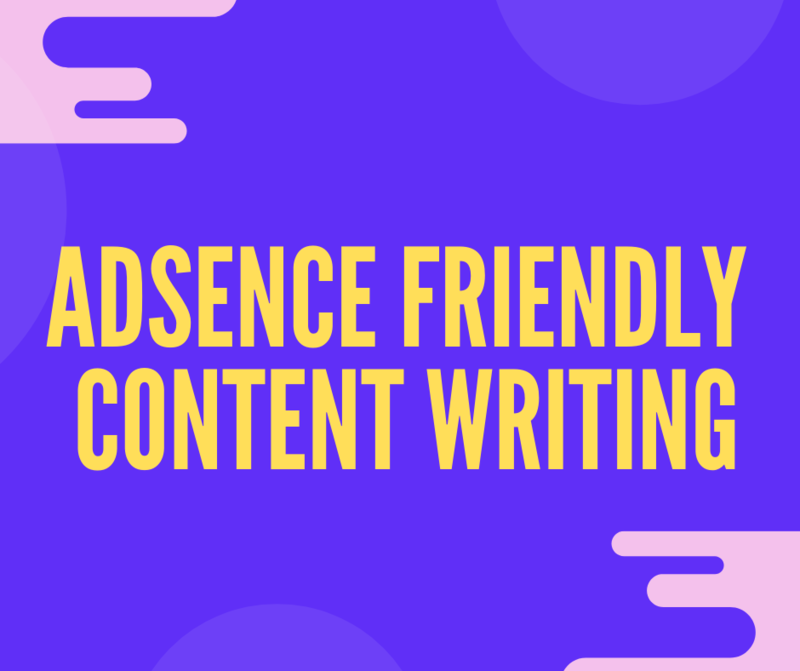 Why to get this adsence friendly article writing service? Why buy these adsence friendly articles from us? Don't hesitate to contact me for detailed discussion.